Happy Fall! It makes me sad that summer went so quickly, but to be honest, I love fall. 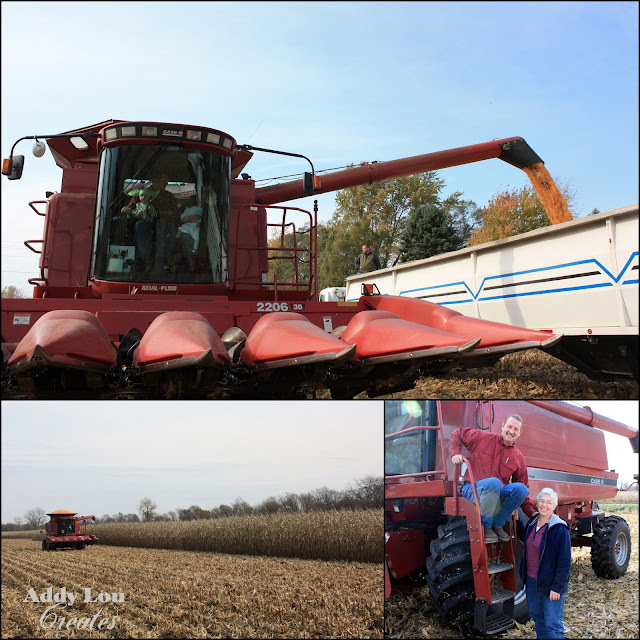 I love sweatshirt weather, Purdue football games and watching the farmers harvest their crops. This also means that Halloween is just around the corner. I am not the biggest fan the 'scary' and 'disturbing' Halloween scenes. I detest scary movies and their movie pre-views on the TV at night. My brain is way to overactive and imaginative for all that. I do love the cutesy, and festive aspects of the holiday. 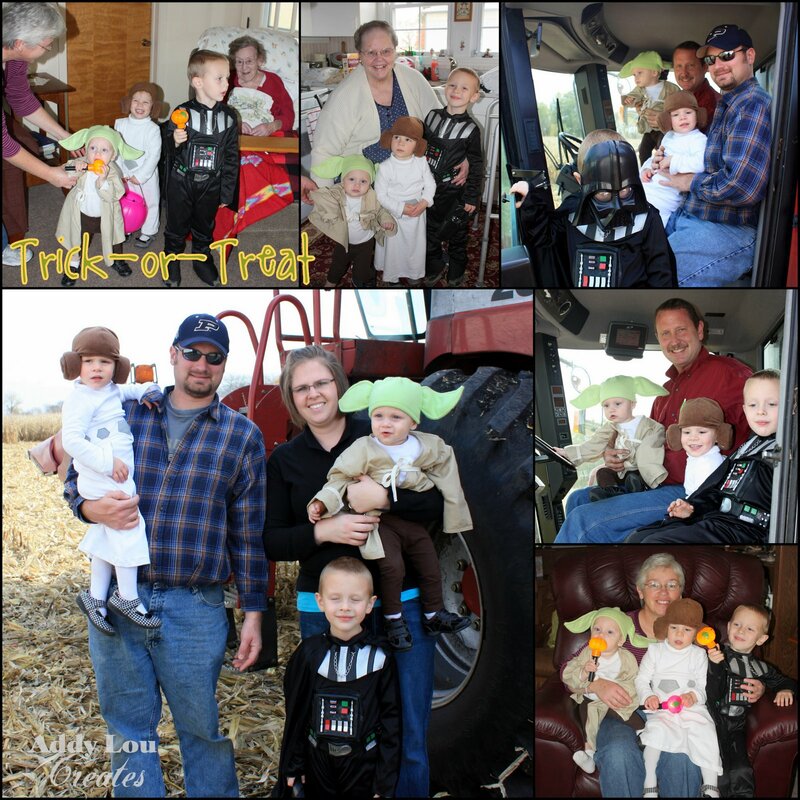 Cute costumes, little witches and goblins trick-or-treating. 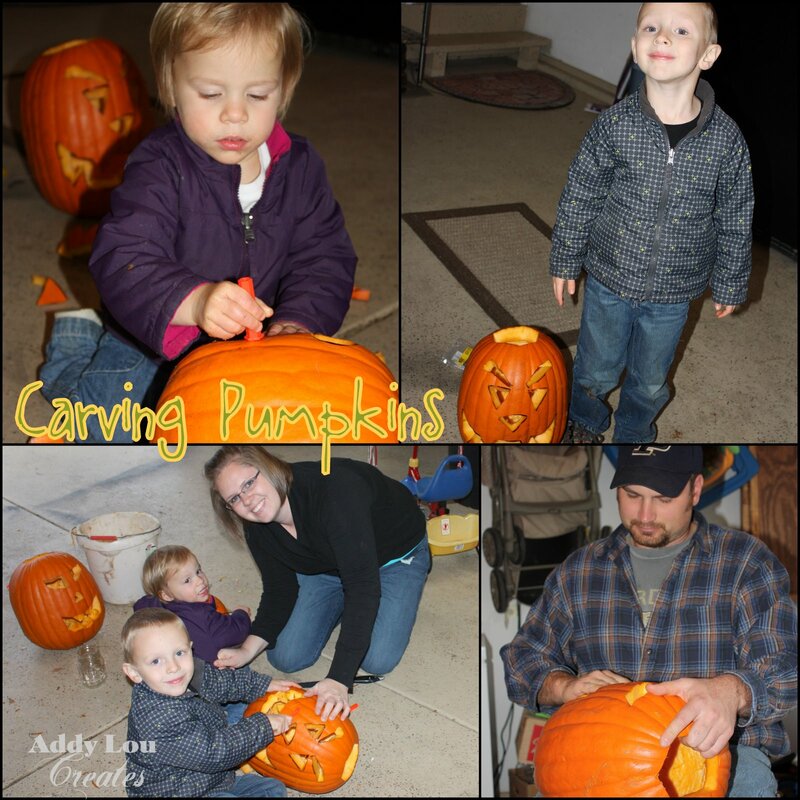 Pumpkins, leaves candles - love all that too. I am excited to start decorating with all things fall. The kids are starting to put their requests in for their Halloween costumes. 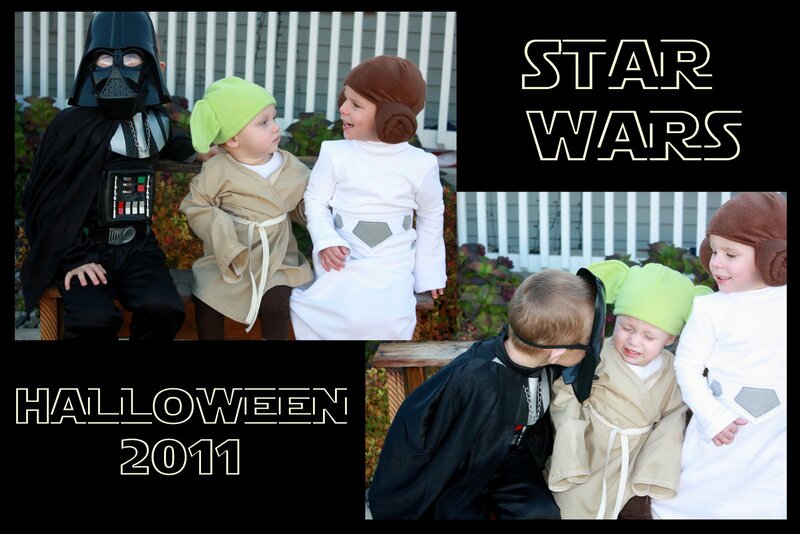 So far requests are for Frankenstein, a Princess, and a Jedi, and who knows what the twins would like. I think, I might be sewing for a while. This brings to me to my latest project that I have been working on. Halloween Trick-or-Treat Bags. 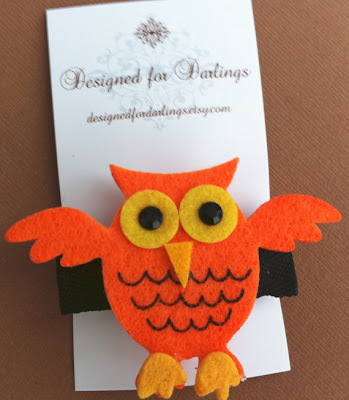 They are now listed in the AddyLou Etsy Shop. These are perfect for your little one trick-or-treating. They come in 13 different styles. These are just a few of the cute Halloween Trick-or-Treat Bags I have for purchase in the Etsy Shop. 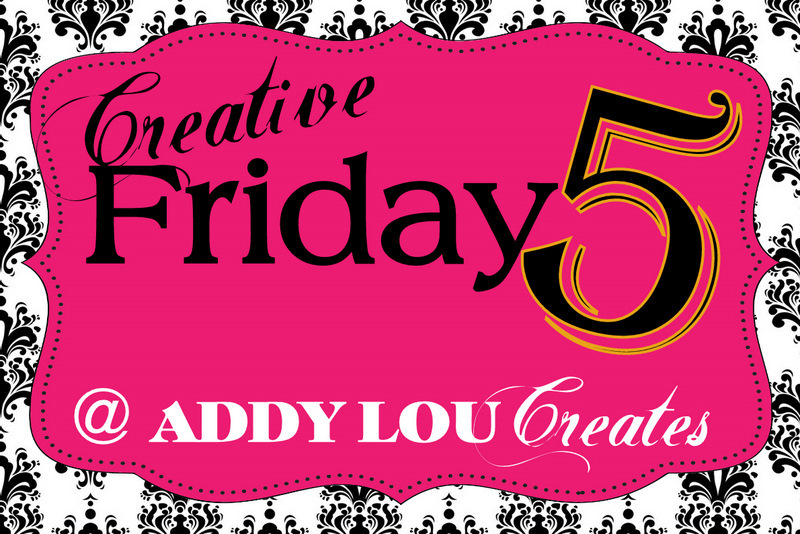 Head on over to see what more I have to offer! Look under the HOLIDAY category to see all the Halloween Trick-or Treat Bags available. We did Halloween in two days. Visiting family the day before, so that we could visit a little while longer. 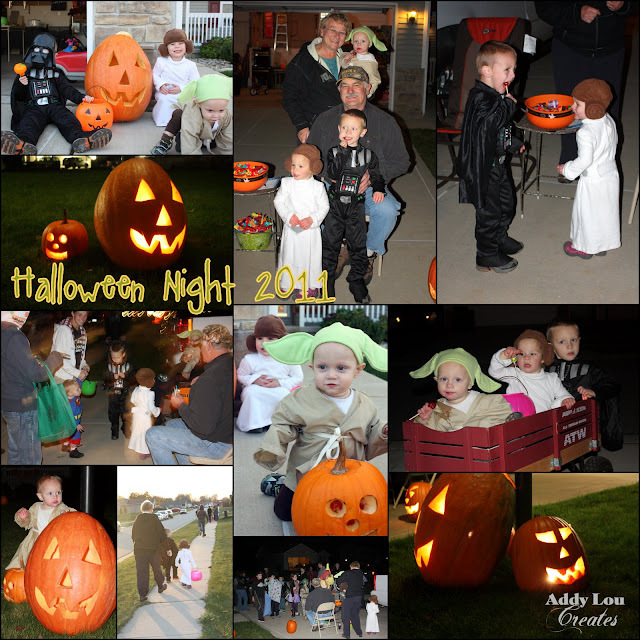 And then on Halloween with our neighborhood. We had a great time! The kids and Brian got to go for a combine ride, while visiting Papa (my dad) out in the field. It happened to be Brian and Yoda's first combine adventure! Dad & my Brother hard at work. And such a great picture of my parents!!! Brian helped the kids carve pumpkins. They had fun, but what a mess! Halloween night! The kids were sooo excited to go. I could barely get them to sit still for me. Then they all got tired at the end and wanted to ride in the wagon. Boy did that thing get heavy fast!!! Thanks to my Mother and Father in-law for helping and passing out candy! I promise this is all the Halloween stuff I have until next year. Enjoy! Thanks for reading! Hi, Hello, I am here...I haven't fallen off the face of the earth. Sorry for my lack of posts and the creative 5 on Friday. Life has has been UBER busy! Between Halloween, the hubby being out of town last week, fall cleaning, getting some test results back and celebrating my little man's 1st birthday- sitting at the computer has not been an option. But I am back! Hopefully you all are having a wonderful Tuesday. Book Shelf for in my craft room using two shelf boards and 6 shelf brackets. The shelf I finally got to hang my Halloween wall hanging on. I used two plain hooks that we bent slightly to keep the dowel rod (with 2 finale screwed on to the ends) from rolling out. All the decor I found on clearance right before Halloween!! That made my day! The paper ghost garland was made with the kids. They had tons of fun making faces on them. Wood jack-o-lantern pumpkins from Michael's. I let the kids paint them, then sprayed with polyurethane, drilled some holes on either side and tied them together with wire. I think it made a cute and festive little hanging for my porch. 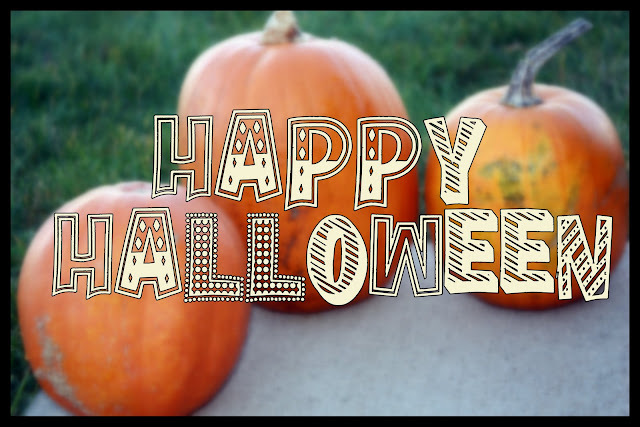 Happy Halloween Monday!!! I hope that everyone had a wonderful weekend and is all ready for trick-or-treating tonight. We sure are. 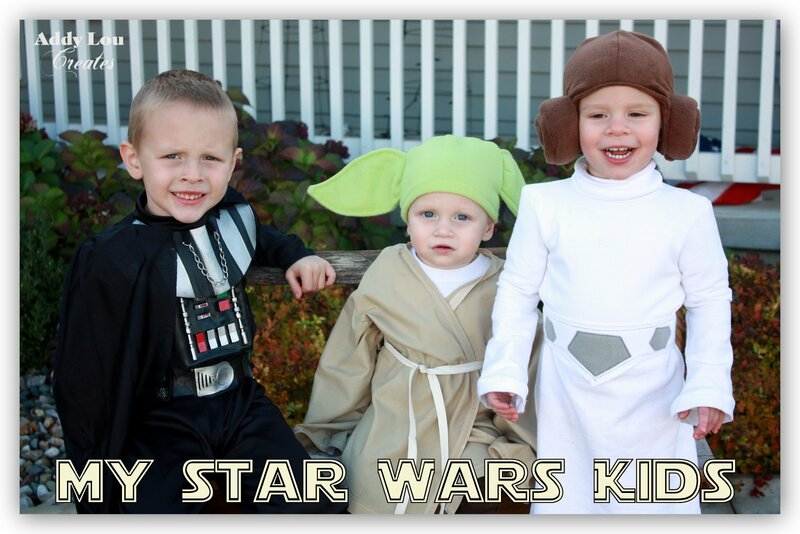 The kids have had their costumes picked out for a while now. And Mom had her work cut out for her. But it was fun to make costumes this year when the kids were all excited about it. So with out further ado...here is this years Halloween Theme! 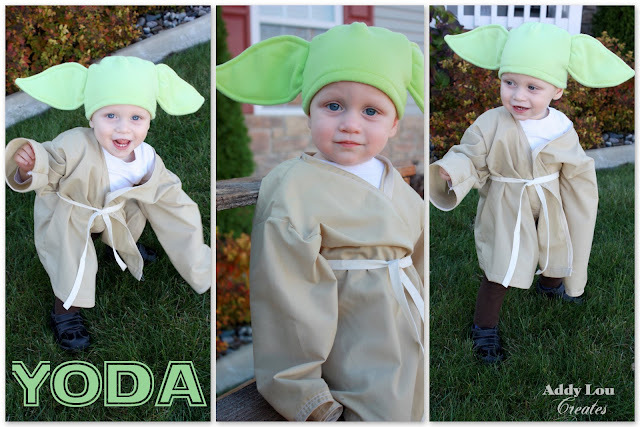 Lucas had his costume pick out since early this summer, after watching ALL the Star Wars movies with Dad. 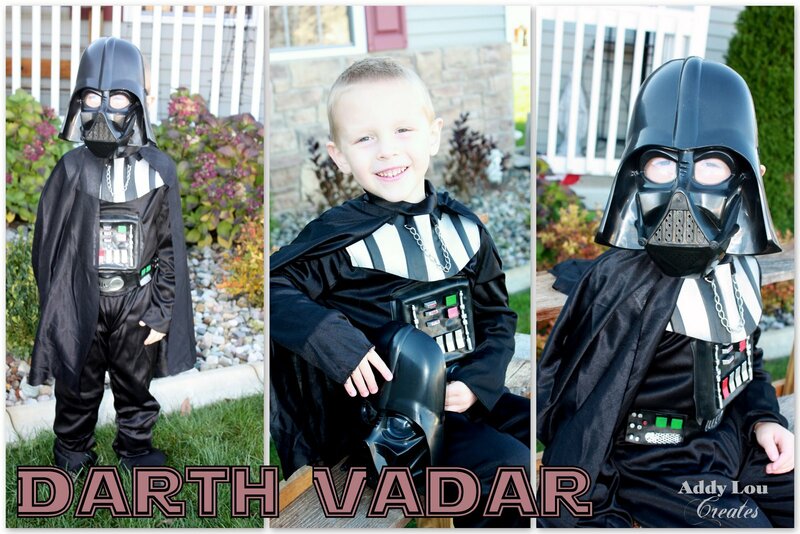 He wanted to be Darth Vader...which scared me because of how intricate that costume would have been to make. If I would have found a mask I probably would have attempted to make this one, but at a whooping $19, buying one at Walmart seemed like a better option. He loved it and that's all that mattered. I think he made a pretty handsome, evil Darth Vader myself. Emma couldn't decide what she wanted to be, but by default of the boy's costume, she became Princess Leia. 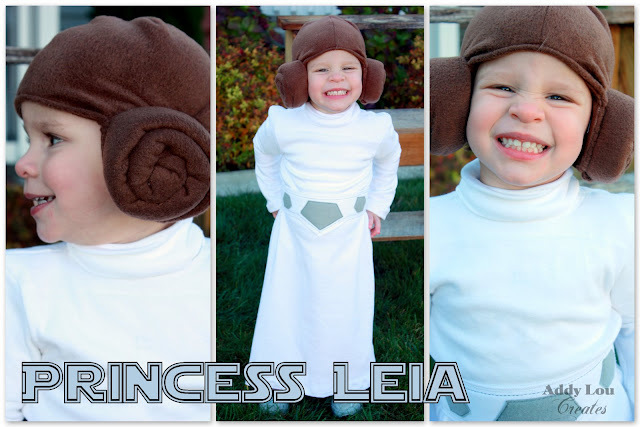 I made this one...even the 'Leia Buns.' The dress was a just a simple a-line followed off of an old dress. And the belt is made out of scrap white jersey from the dress and felt. The hat was made from a modified pattern I found here and then I added the some rolled up fleece and sewed it on the sides for buns. Check out my cute little model. It was tons of fun making these costumes. There was lots of laughing, smiles and memories made. P.S. Looking for some fun Star Wars Fonts? Check out these free ones I found here. Halloween is just around the corner. I am not the biggest fan of the the scary side of this holiday...I have a way to active of an imagination that will keep me up all night. But I do like the cute side of Halloween. Here are some cute Etsy find for Halloween. Enjoy! 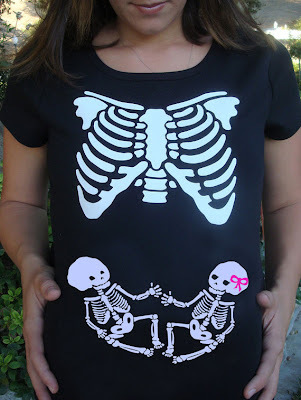 What a cute idea for a maternity costume! 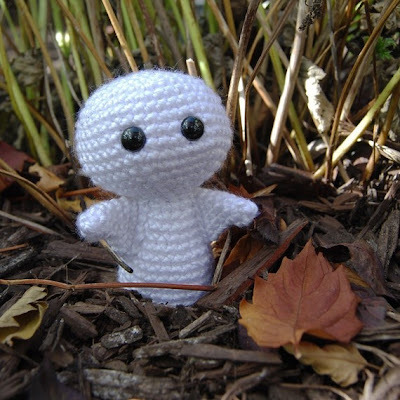 Cute patterns to create your own little ghost and many more cute creatures. 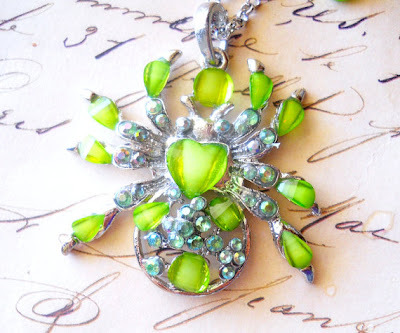 I normally don't like spiders, but this is beautiful! This shop has some very pretty jewelry. I wish Miss E had more hair so she could wear something cute like this! How adorable is this?! 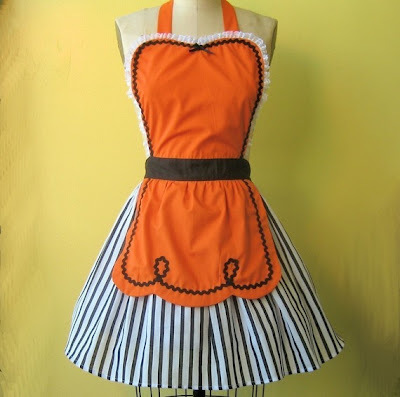 I want one to wear for making Halloween dinner!